On 14 February 2013 Cyprus and Spain signed a double taxation agreement, which came into force on 28th May 2014. On 23 December 2014, Spain removed Cyprus from the ‘Black List’ described as a ‘tax haven’, and both authorities stated that they will allow benefits with effect from 1 January 2015. Irrespective of the treaty-provided rates, Cyprus legislation does not provide for WHT on dividends, interest and royalties paid to non-Cyprus residents. Capital Gains: Gains from the disposal of immovable property are taxed in the country where the immovable property is situated. Gains from the disposal of shares not listed deriving more that 50% of their value from immovable property, are taxed in the country in which property is situated whereas disposal gains from any other shares are taxed in the country of residence of the seller. The Republic of Cyprus and the Kingdom of Bahrain signed on 9th March a double taxation avoidance agreement on income and other taxes. Cyprus and Bahrain legislation does not provide for withholding taxes on dividends, interest or royalties paid to non-state residents. The present DTAA opens up opportunities for structuring investment holdings from Cyprus. With Cyprus being a full EU member, it serves as excellent access to EU markets for Bahrain investors. Additionally, trading and infrastructure companies can exploit opportunities in Cyprus and the EU. 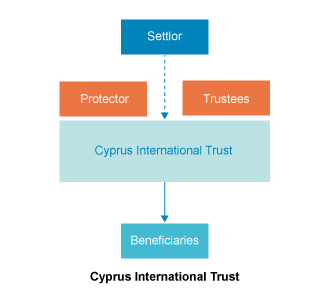 Finally, Cyprus Trusts can be used for succession planning. For more information on how to take advantage of either of these treaties, and in Amicorp’s broader service offering, please contact your Amicorp Account Manager, Sales Manager or your closest Amicorp office. At Amicorp Cyprus we are available to assist with any queries you might have, help you understand and explore the opportunities that may arise for your business as a result of these agreements. Coordinate with Amicorp offices and selected advisors worldwide in presenting you with turnkey solutions that will fulfil your structuring requirements.